Skype is a clever piece of free software that allows you to make free voice calls to other Skype users anywhere in the world, using the Internet. If you are fed up with the lousy voice quality of your regular mobile phone, you will love the superior clarity of Skype, provided your broadband connection is reliable. Skype is much easier to use than email, and it is this incredible ease-of-use that makes it a worldwide phenomenon. According to statistics published by its parent company eBay, there are currently more than 309 million users, with an average of 10 million to 12 million users online at any given time. /Content/Videos/2008-08-27/BOL Skype interview.flvfc520638-7370-11dd-87d4-000b5dabf613.flvThe problem with Skype is using a physical desktop computer or a laptop as your telephone instrument, complete with a microphone and computer speakers or a headset. That’s more awkward than the first phone used by Alexander Graham Bell. Plus, Skype does expect you to have the bare minimum computer skills required to switch on, log in, and basically click around to make that call. But if you don’t want to be limited to your computer, try the Skype phones. 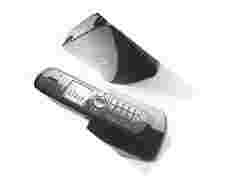 Some of these models look like an ordinary mobile phone, while others look like cordless or even normal desk phones. Just take one out of its box, switch it on, allow it to use your broadband Internet connection at home or office, and then punch in your Skype user name and password. The phone then automatically retrieves all your contacts from your Skype account. You don’t need a computer to do all this, just a wired or wireless (Wi-Fi) broadband connection. However, if you don’t have a Skype account, you do need a computer to navigate to the Skype site and create one. Unlike mobile phones or landlines, you don’t need any ID proof or verification to get a Skype account and call people, which is rather alarming for the security agencies. Skype calls are encrypted, so there is no known way for anyone to legally or illegally listen in on your calls. Skype is not a replacement for your ordinary telephone and can’t be used for emergency calling. Both you and the person you call have to be logged in to a broadband connection to use a Skype phone. The beauty of SkypeIn is that your caller will usually dial a local number, and you’ll receive the call anywhere in the world, routed through the Internet. Unfortunately, there are only 21 countries where SkypeIn local numbers are available, and India is not one of them. That may change with the new guidelines from the Telecom Regulatory Authority of India (Trai) that now allow unrestricted net telephony in India. If you have an ordinary mobile phone with Wi-Fi capability, you may even find free third-party software that installs on your mobile phone and allows you to make free Skype calls through Wi-Fi. For instance, I use a freeware called Fring on my Nokia E61i. You’ll find a version on www.fring.com for all popular mobile phones. But imagine if you could use Skype on a phone that uses 3G networks. 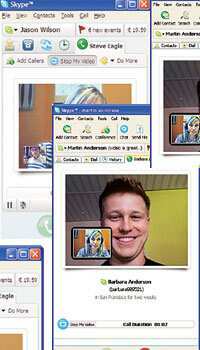 You could then make local and international Skype-to-Skype calls free while roaming anywhere within 3G networks. Skype has already launched a 3G-enabled phone in seven countries, and it’s called the 3 Skypephone S1. You don’t need any verification papers or ID proof to set up a free Skype account. That alone is worrisome for security agencies worldwide. Skype calls are also encrypted, making it technically impossible for anyone to legally monitor a call. Meanwhile, several developed and developing countries around the world are embracing and allowing the proliferation of Net telephony and services such as Skype. A ground-breaking recent announcement from Trai finally removes all restrictions on Net telephony in India, and permits Internet Service Providers (ISPs) to allow users to make calls from computers to fixed landlines and mobile phones, both inside and outside India. Trai also directs ISPs interested in providing unrestricted Net telephony to install “lawful interception" and monitoring equipment. Skype does not really have any known and verified method of interception and monitoring. In China, however, Skype has cooperated with the Chinese government in implementing a system of Internet censorship. People who want to download Skype are automatically redirected to a private mobile Internet company in China from where a modified version is made available. One thing’s for sure: Net telephony with ubiquitous broadband and Wi-Fi zones will one day outnumber traditional phones, especially since it costs nothing.